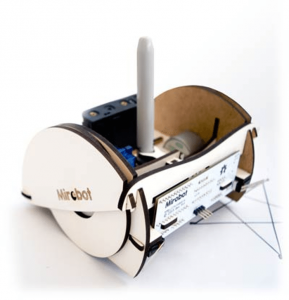 Build and Take Home your Bluetooth Robot. 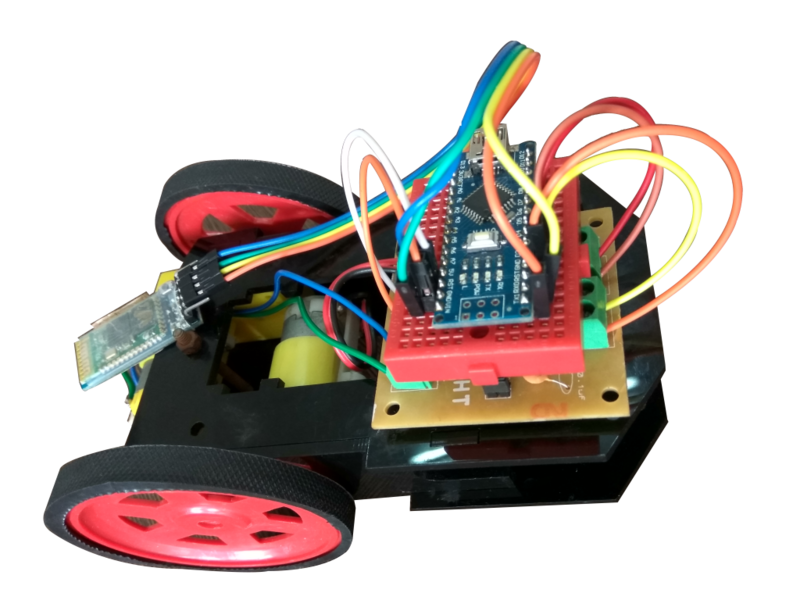 Bluetooth Robot is controlled by using Smart Phones or any Bluetooth enabled device instead of wired connection. 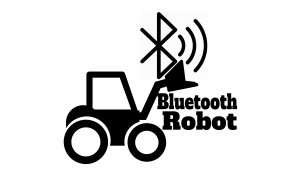 For this we are using HC05 bluetooth module which will be placed inside the bot act as a receiver and can be operated by using smart phones or any bluetooth enabled device (which will be transmitter ). So that we can move the bot in any direction such as forward, backward, left or right as per the requirement. We can also have wifi connection and wireless camera to make it function s a remote monitoring or a surveillance device and more as per the requirement. How do I build it? 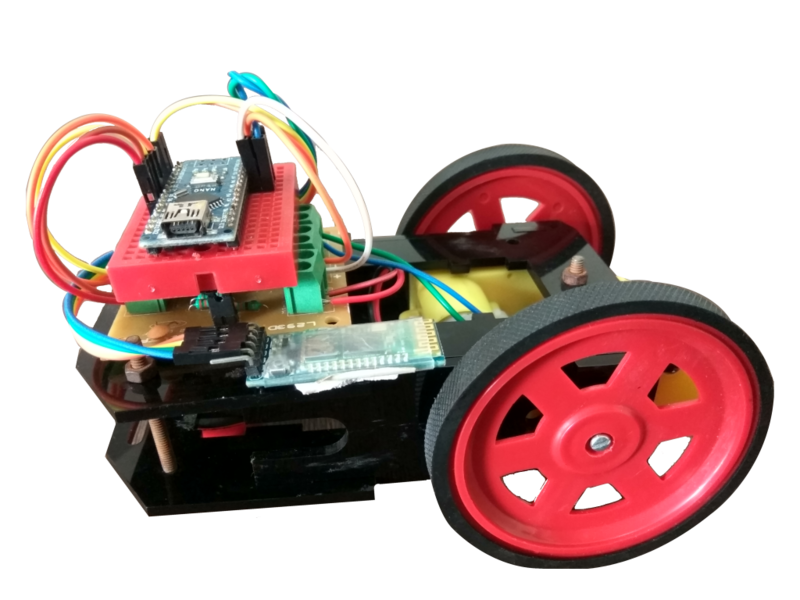 The "Bluetooth Bot" has been designed from the ground up to be easy to assemble. Children can build it themselves and we belive that adults may be able to build it too. What we promise the students is not just building robots, but something greater – a passion for robotics coupled with the knowledge and confidence to take on the world with their self-made machines. 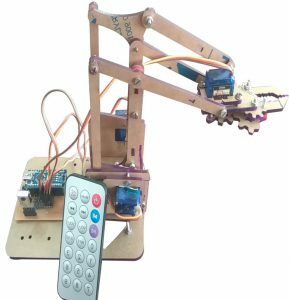 This Course empowered school student with the ability to visualise and create innovative designs in the field of robotics and science. Confidence to experiment with machine. 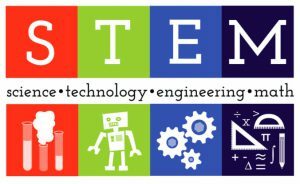 Creating interest in the field of science & engineering. Simultaneous learning concepts of maths, physics and management. Ability to work in a team & multitasking. Understand how mechanical & electronics system work simultaneously. Use of lateral thinking / think out of the box. Writing program for autonomous machine in professional manner. 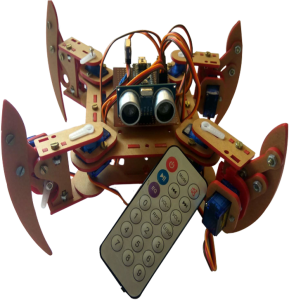 You can interface different kind of sensors to make your robot always 1 step ahead.